What you'd think is one of the easiest jobs is actually one of the most stressful, difficult environments to work in. 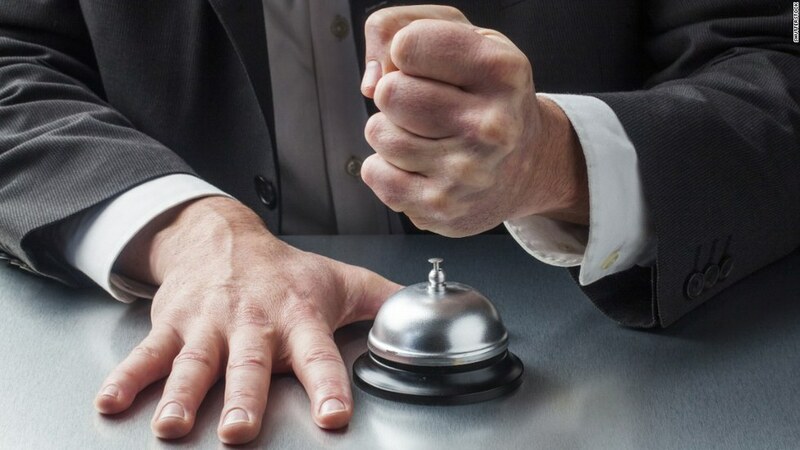 When someone thinks about staying at a hotel, they think of a few things: vacation, relaxation, business, catering, etc. What they don't think about is how much work goes on behind the scenes so that the guests of the hotel feel comfortable. I loved the people I worked with, when I did work with them. Unfortunately for me, my shift meant I was the only one in the hotel after the manager and housekeepers went home for the day. I saw a lot, probably too much, and this is my confessional. It's not the end of the world for us if you cause a scene and say you'll never stay with us again. Sometimes we upgrade people's rooms for free. 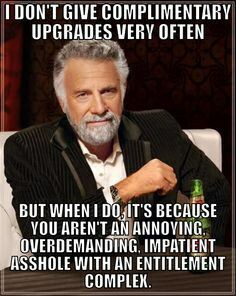 It's usually not for the people that request an upgrade in the comments, though. If you really wanted the room, you could always just book that room type in the first place. It's not my fault if you don't show up for your reservation. 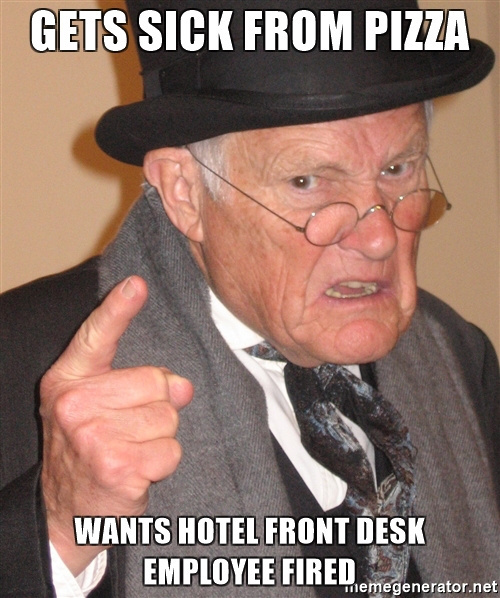 It's also not my responsibility to get you to the hotel. Please make sure you have your cabs, uber, rides, etc. planned before you call me at 11 pm saying your stuck at the airport. I can't help you. I've had someone rent a room around 10 o'clock and check out in 25 minutes. I've had a guest demand that I drive to the store and buy them an air mattress. 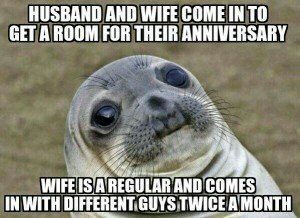 Regular guests can go two ways. They either become our favorite, day-making people or the person we argue about trading shifts because of. Guests have offered me to come up to their room after my shift ended. I was actually invited in while dropping off extra pillows for an older, 50+ year old couple. 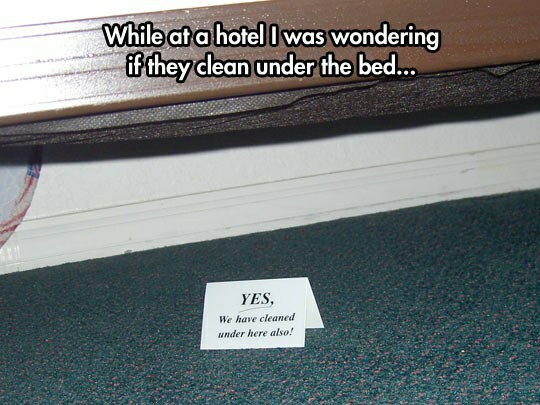 Yes, we do clean the room and wash the linens/towels after every guest. Housekeeping was not my department, but on slow nights I found myself folding towels in the laundry room. You may not think we can see you, but if you're in the hallway, we have a security system for a reason. I've seen too many bare butts taking a peek at the cameras every so often. There IS a "Do Not Rent" list, and trust me, you do not want to be on it. 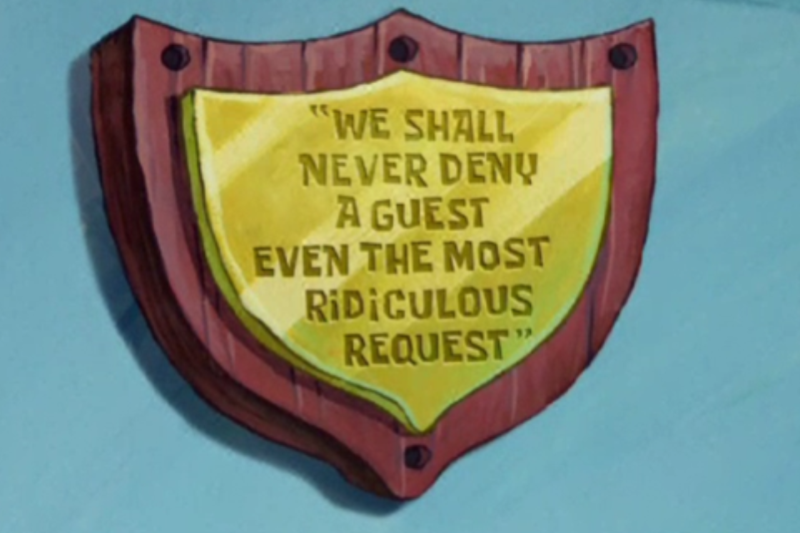 Yes, we do talk about guests. Guests blow things way out of proportion. A woman once threatened to sue me. (Little does she know, I am a very poor college student, so have fun with that). 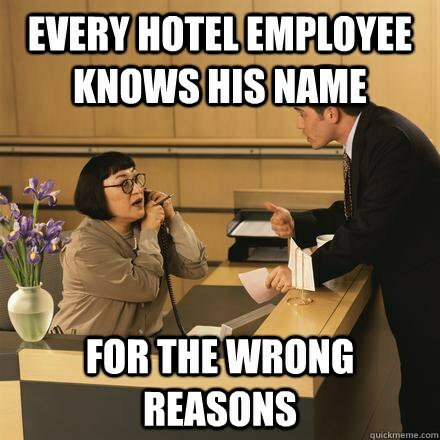 The front desk employee gets blamed for EVERYTHING. So, next time you check in, smile at the employees a little more. You don't know what kind of crazy things happened before you walked through those doors.